Blends by Orly Challah Mix has enough oat flour content so you can wash and say the Birchat HaMotzi on your challah bread. 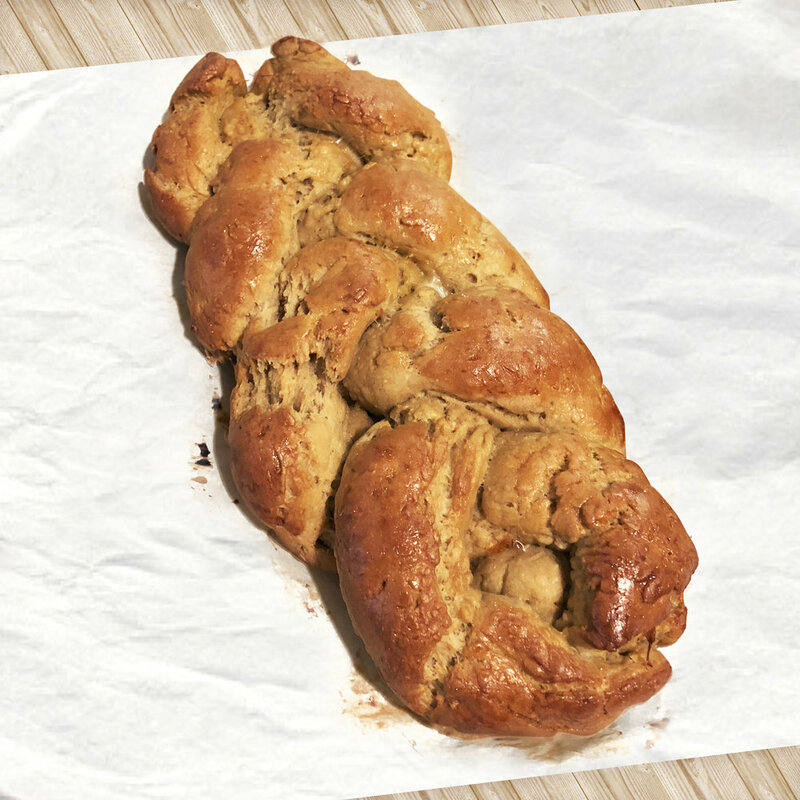 In fact, our gluten free challah mix is certified Birchat Hamotzi by Rabbi Chaim Weissmandl. However, in order to say Birchat Hamazon (the Grace After Meals), the flour mix needs to be more than 51% oats content. After a few baking trials, I came up with a new delicious recipe for gluten free oat challah. I was afraid that with a dominating proportion of oats, the bread would be dry and bitter tasting. Boy was I wrong! This oat bread has a nutty/buttery flavor and a healthy whole wheat like texture (I love whole wheat bread)! Grab a bag of Blends by Orly Challah Mix and follow the steps in my recipe below to make challah bread for Shabbat that is over 51% oats so you can say Birchat Hamazon! For an Oat Challah Recipe that uses Manhattan Blend Click Here! Mix: In the bowl of a stand mixer with the paddle attachment, combine yeast, oil, eggs, yolks and luke-warm water. Let sit for about 3 minutes. In a separate bowl, mix together Blends by Orly challah mix and the additional oat flour, salt, sugar and baking powder. Add the dry mixture into the mixing bowl and mix on medium speed for 3 minutes. The dough should feel soft and slightly sticky. For Rolls: Scoop up some dough with a large ice cream scoop and wipe on the side of the bowl to flatten. Release dough directly onto a baking sheet with parchment paper. Shape and Proof: Turn the dough out onto a surface floured with Manhattan Blend or rice flour. Divide dough into three equally sized parts. Sprinkle flour on top of the dough to prevent it from sticking to your hands. Carefully roll each portion into three long ropes. Place each rope parallel to each other on the pan. Pinch the top ends together to stick and braid the dough into a plaited loaf. Let sit in a warm and moist area (oven set to 100 degrees Fahrenheit) for 45 min to let the dough rise. Bake: Egg wash the top of the risen challahs with a lightly beaten egg and bake the the challah for approximately 35-40 minutes, or until the color is a golden brown and the outside is crispy.